Cuban Tourism Market Opens to Americans - Caribbean & Co.
For many years the Cuban tourism market has been off-limits to American due to existing travel restrictions. However, those travel restrictions have been replaced by new regulations recently announced by President Barack Obama and this has led to renewed interest in the communist country. 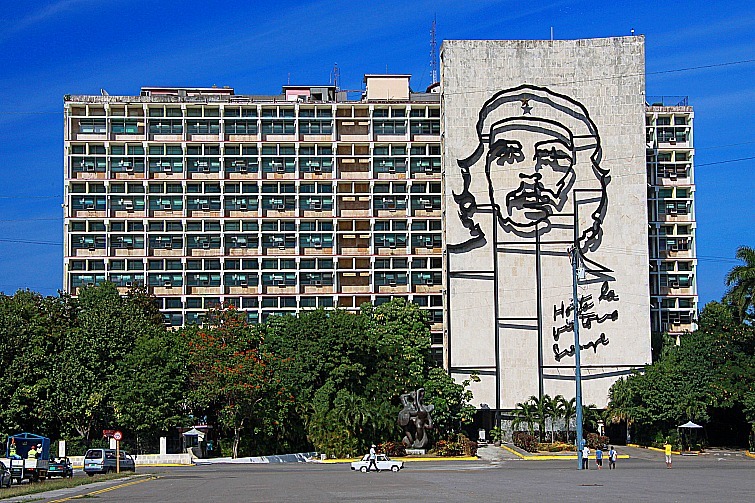 Cuba: Portrait of Che Guevara on the Plaza de la Revolución. Photo Credit: ©Flickr/GuillaumeBaviere. With these 12 categories, no doubt more Americans will get the opportunity to visit Cuba which as a tourist destination has similar appeal to other Caribbean islands – the magnificent beaches, food, and the warm tropical climate. What has piqued renewed interest in Cuban tourism, however, is the historic allure of a country seemingly steeped in a timeless era due to decades of being locked away from the rest of the world. But the historic appeal and un-spoilt nature of the Cuba may work against it where tourism is concerned. The country is the second most popular tourist destination in the Caribbean and already gets around 3 million visitors each year. So does it have the hotel capacity to handle the potential influx of American tourists? There is also the question of airlift capacity and the absence of regularly scheduled flights. Additionally, many of the infrastructure developments that are commonplace in other Caribbean destinations are not yet available in Cuba, and tourists who are accustomed to these amenities will have to settle for a more rustic adventure. Cuba: Children in Havana playing baseball in la Plaza Martí. Photo Credit: ©Flickr/ GuillaumeBaviere. Understandably, the relaxing of US-Cuba travel relations has caused some anxiety in other Caribbean destinations since Americans account for the vast majority of visitors to the region. Over 13 million Americans (nearly half of the overall total) visited the Caribbean last year according to the Caribbean Tourism Organization and some fear that these tourists will bypass their countries to feed their curiosity into the relatively untouched destination. However, even with the new regulations, it will be some time before Americans will be flocking to the country in droves. Most travelers will still have to certify in writing that they have a valid reason to travel to Cuba, and persons who violate the restrictions could face a hefty fine. 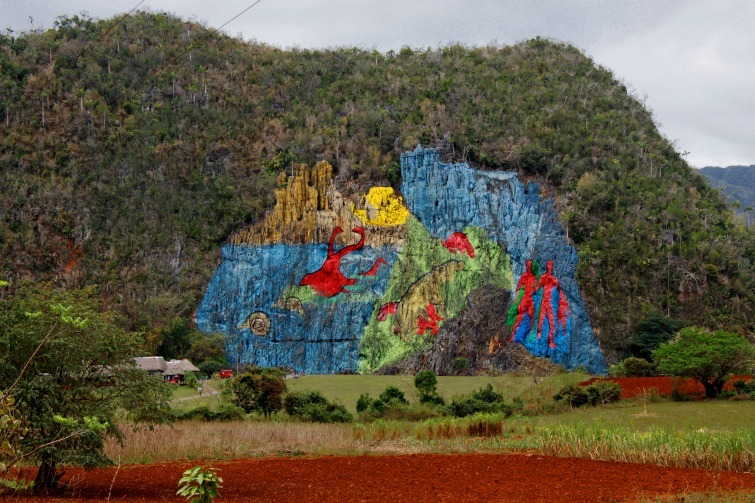 Cuba: The famous Prehistoric Mural, a masterpiece with 120 meters painted on the side of a mountain. Photo Credit: ©Flickr/GuillaumeBaviere. Still, there have been media reports of a noticeable spike in Cuban tourism since the announcement was made in December 2014, and as more Americans get familiar with the new rules, travel to the country will begin to increase. However, some in the industry feel that the opening of Cuba is not necessarily bad news for their Caribbean neighbors. As the country still have a long way to go in preparing its infrastructure to welcome visitors in the numbers seen elsewhere in the region, many believe that tourists will simply choose to include Cuba as part of their travel itinerary to other islands. So a win-win all the way around!